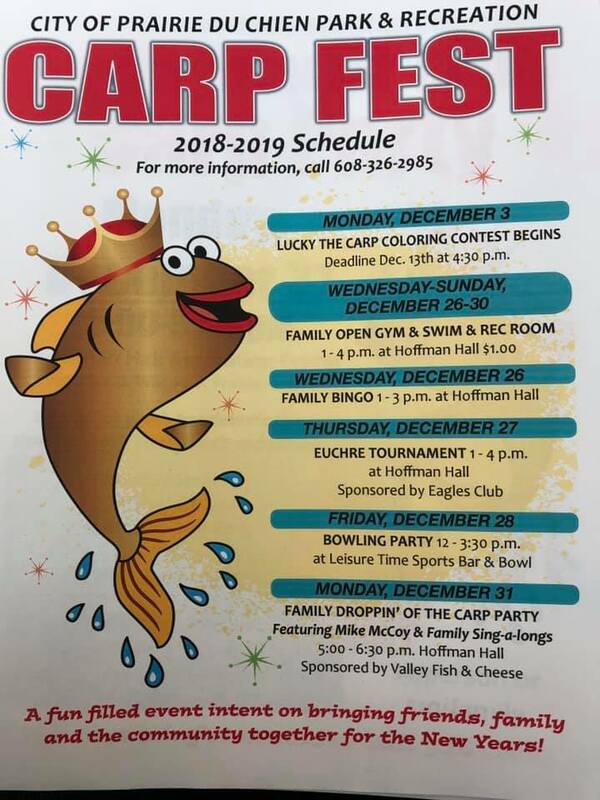 Carp Fest is a fun-filled week-long event intent on bringing friends, family, and community together for the New Year! We were thrilled that so many people ventured out during the week of fog, wind, ice, and cold. It was a typical Wisconsin weather week. 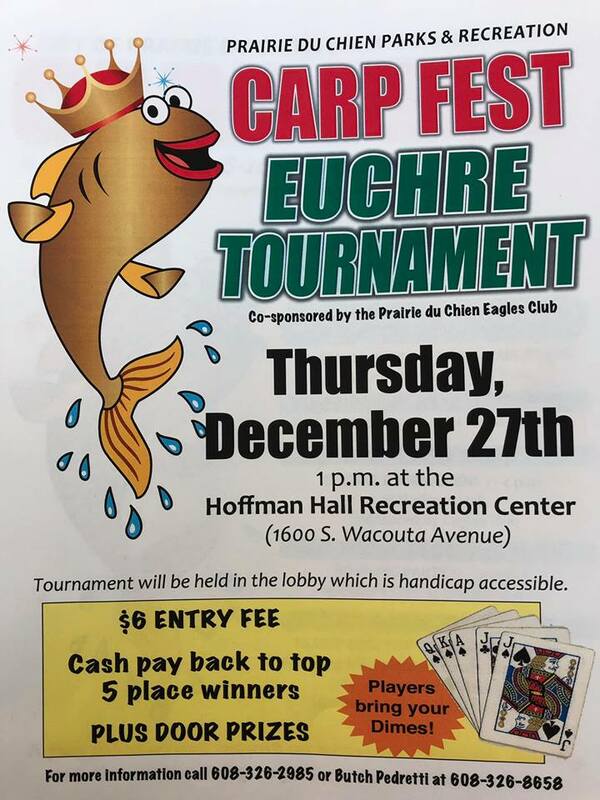 Proceeds going to Dropping the Carp Fund and City Park and Recreation Youth Enrichment/Hoffman Hall Activities. We hope you enjoy the video, shot on the new FLIP video device. 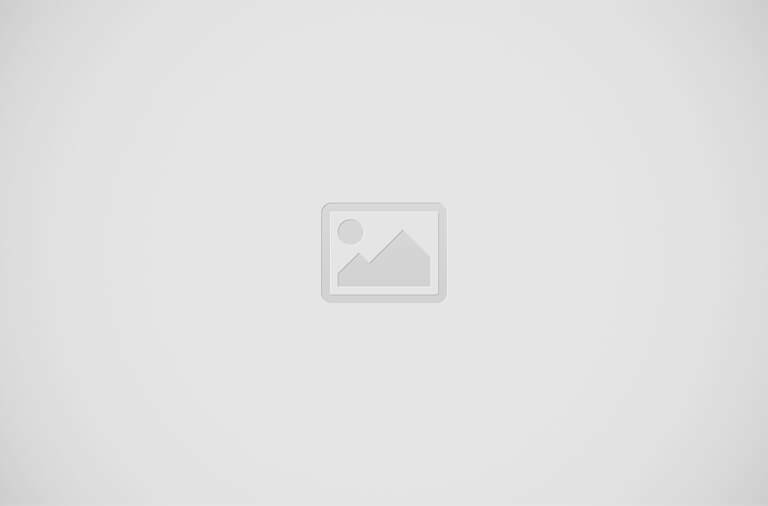 If you're looking for a non-traditional way to ring in the new year, then Prairie du Chien is the place to be. That's where the 10th annual Droppin' of the Carp is going on Friday night. It's all part of Carpfest, a week-long event where friends and families can take part in a variety of activities that are fun and unique. 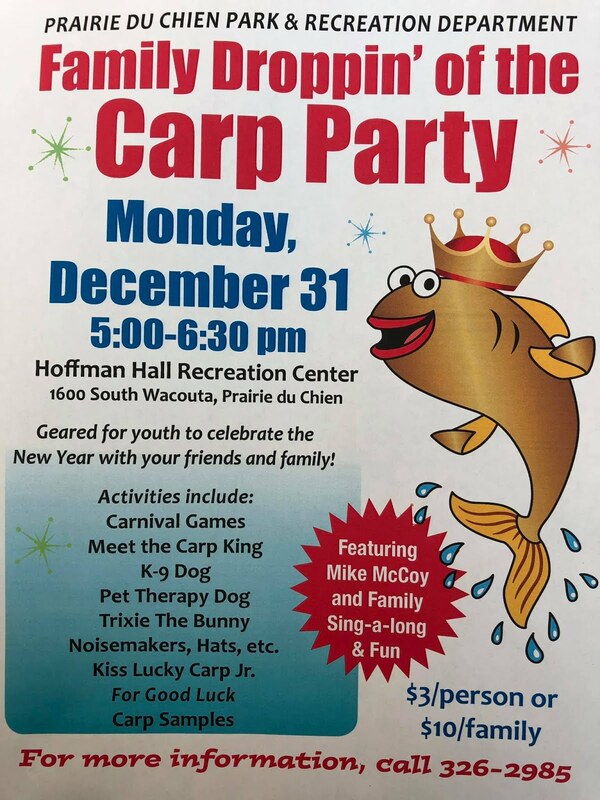 At midnight New Year's Eve, organizers will drop the carp similar to the ball drop in Times Square.